Non-resident Indians, who have an income in India, have to pay the tax also in the country. 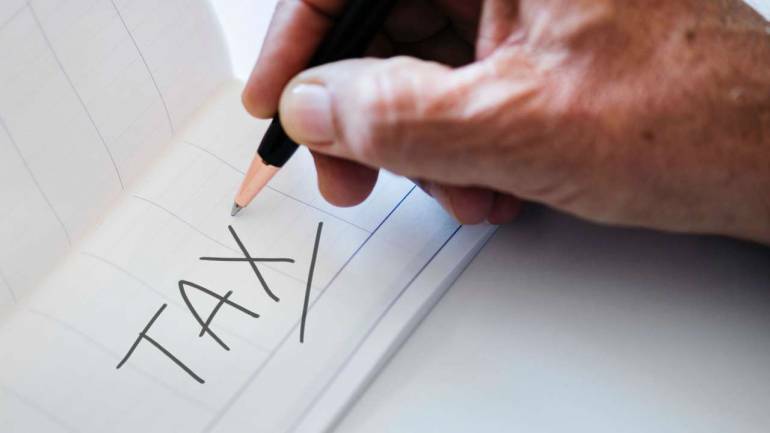 Under the Income Tax Act, in case of a non-resident, income that is received or is deemed to be received in India or income that accrues or arises or is deemed to accrue or arise in India is chargeable to tax in India. A person employed abroad or deputed by his Indian employer on a foreign assignment or a person employed as a crew on a ship may become non-resident under the income tax act. Such a person may request the employer, whether Indian or foreign, to deposit the salary in his Non-resident (External) bank account (commonly known as NRE account). A question arises whether such salary of a non-resident assessee is chargeable to tax in India. By and large, it is a settled position that salary accrues at the place where services are rendered or employment is exercised. So when services are rendered by a person outside India, the salary accrues to him outside India even though the contract of employment/appointment letter may have been signed in India or the employer may be Indian. If such salary, is deposited in an Indian bank account, does it become chargeable to tax in India for the reason that it was received in India? If the non-resident person has a bank account outside India and if the salary is first deposited in that bank account and thereafter if it is emitted to his Indian NRE or any other bank account, both the accrual as well as the first receipt of the salary will be outside India and clearly it will not be chargeable to tax in India. Remittance of the salary already deposited in a foreign bank account to a bank account in India is not receipt of salary in India. However, where on the instructions of the employee, the salary is deposited for the first time in the NRE bank account, the taxability of such salary has been a subject matter of dispute between the Tax Department and tax-payers. In some of the cases, the appellate authorities have held that when a non-resident earns salary outside India, such salary is available to him or is under his control outside India and that is a constructive receipt of the salary outside India. On that count, the appellate authorities have held that such salary cannot be taxed in India because it is deposited in the NRE bank account. On the other hand, there are decisions of the Income Tax Tribunal holding that if the salary is received for the first time in the NRE bank account of the assessee in India, it is chargeable to tax in India. This issue often arises in cases of persons who are members of crew of the foreign-going ship. Representations were made to the government for clarifying this issue. The Central Board of direct taxes (CBDT) issued two circulars in April 2017 and clarified that in case of a non-resident seafarer, salary accruing outside India will not be chargeable to tax in India merely because it is credited in the NRE account of such person. The circulars, although refer only to cases of seafarers of foreign-going ships, the circulars may be relied upon in case of other non-residents earning salary for services rendered outside India and crediting such salary to their NRE bank accounts in India. Even in their case, such salary should not be chargeable to tax in India only because it was credited to the NRE account in India. A non-resident can have NRE bank account in India or Non-resident Rupee (Ordinary) account (commonly known as NRO account). An NRO account is denominated in INR and generally used for transactions conducted by the non-resident in India. While the nature of the two accounts is different, salary accruing outside India and deposited in NRO bank account should also not be chargeable to tax in India. Another aspect that may be kept in mind is that India has entered into agreements with various countries for avoidance of double taxation. If the provisions of the agreement between India and the country where the person has become resident are more favourable than the provisions of the Income Tax Act, the non-resident has the option to choose to be governed by the provisions of the agreement. Taxation laws are never simple and one may unwittingly get taxed or get caught in litigation. While the circulars issued by the CBDT bring some clarity, if a person is going to be a non-resident for a reasonably long period of time, it may be a good idea to open a bank account in the foreign country and deposit all the foreign earnings in such bank account and then remit the required amount to the NRE account in India. This will avoid the controversy as to whether the salary received for employment exercised outside India is chargeable to tax in India if it is credited to the NRE account.